Arsenal have been handed a triple injury boost with Unai Emery confirming that Aaron Ramsey, Laurent Koscielny and Granit Xhaka could all be fit to face Everton on Sunday. 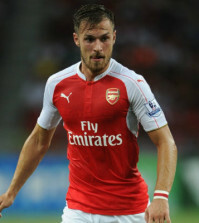 Ramsey played a key role in Arsenal’s 2-0 victory over Newcastle on Monday night with the Welshman scoring the opening goal and running the game as we won our tenth home league game in a row to move third in the table. For those betting on sports and backing Arsenal to finish in the top four, we’re now 2/1 to secure a Champions League place. The midfielder sparked fears he had aggravated a muscle issue that had kept him out of action for his country during the international break after he limped off midway through the second half last night. However, Arsenal boss Unai Emery has offered a positive update after confirming that Ramsey was only suffering from cramp and should be available for Sunday’s crucial trip to Goodison Park. Koscielny was surprisingly omitted from the squad against Newcastle and it’s been revealed that he ruled himself out of the game on the morning of the match due to pain in his foot. Thankfully it doesn’t sound serious and while Koscielny will no doubt be assessed over the coming days, he should be back in contention to take on Everton at the weekend. Emery has also confirmed that Xhaka was ruled out of the Newcastle match after suffering a knock while away with Switzerland during the international break. 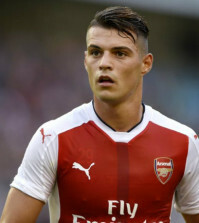 However, the Arsenal boss has described the injury as ‘small’ so Xhaka isn’t expected to be on the sidelines for long. Pierre-Emerick Aubameyang was named on the bench last night and Emery has revealed the decision was made due to the striker suffering from a temperature recently. Auba made a great impact off the bench in the second half so he’ll be pushing for a start against Everton on Sunday. We started Friday with not good news with Xhaka, because he has a small injury and he could not play today. After also, Aubameyang, he has had a temperature for two days and was doubtful to play today. But also, he is coming for us to start in the bench and after he was good and he felt good in his 30 minutes. 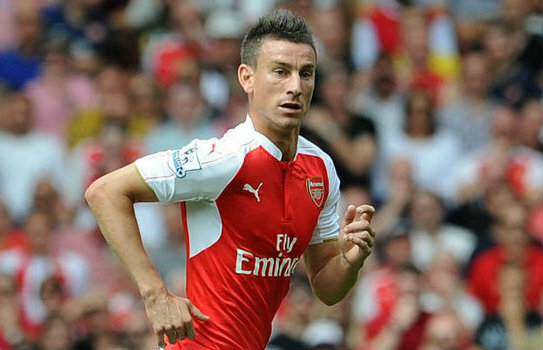 Today he was coming with us in the group, Koscielny, but with some pain and he said to us he is not ready to play the match. It’s only cramp. I don’t think it’s more and I hope he will be ready for Sunday. It’s a huge relief that Ramsey hasn’t suffered any serious injury as he’s been in excellent form in recent games so hopefully we see him keep his place against the Toffees at the weekend. With Koscielny, Aubameyang and hopefully Xhaka also pushing for starts on Sunday the squad is in good health as we head into the business end of the season locked in a fierce battle with Tottenham, Man Utd and Chelsea for the two remaining Champions League qualification places. Many australia online casino sites have Arsenal as the odds-on favourites to finish in the top four but we still have several difficult away games to navigate including Sunday’s trip to Everton so it’s still all to play for.